5 Ways to Increase Your Capacity and Wellbeing. Using time and energy in ways that are meaningful, positive, and productive. Sarah Deane, Founder of EffectUX and creator of MyEMQ.com: Human-data driven strategies for Customer Experience, Workplace Culture, Well-Being and Leadership Development. Life is speeding up, distractions are at every moment and there is “noise” everywhere. Those back to back meetings, those email notifications, those chat pings … all coming up on multiple devices. It is no wonder that studies have found that 8 in 10 Americans are afflicted by stress and more than half of employees have experienced job burnout. The truth is, we all have 24 hours in the day, and how you spend that time is critical to avoiding burnout as well as feeling and performing your best. If you are always feeling overwhelmed, stressed and as if you should have got more done, there are some strategies you can try to maximize your capacity and feel more energized! 1: Become aware of how you are spending your time. Awareness is critical in creating positive change. Keeping a time journal for even just a week or two can highlight patterns where you can better spend your time. Make sure to note down how you are feeling throughout the day, for example, alert and focused or tired and distracted. 2: Shift how you spend your time. Once you understand how you are spending your time you can use the insight to make small changes. You can find those achievable time slots in which you can swap in more meaningful ways to spend your time. This could be adding five minutes to your shower in which you can reflect on your day or reducing a meeting to 30 minutes instead of an hour. You can also find your peak times that are best suited for different kinds of work as well as if anything you are doing is actually unnecessary. For example, if you see that you are more focused in the morning, then you can schedule work that needs more concentration for that time. Or, if you are spending a lot of time in unnecessary meetings, then you can start to ask yourself if you really need to be there for all of these meetings or if some of the collaboration can be best done another way. 3: Be aware of your feelings and thoughts. Rumination and overly worrisome thoughts can lead to emotional fatigue. Becoming aware of how you feel when challenging situations arise, allows you to move into a more productive state by acknowledging your emotions, shifting perspective, looking at what you can learn from the situation, and moving forward. This process takes time and practice, but the more you do it, the more you will build the mental muscles, and the more it becomes an automatic response. 4: Determine and maintain your boundaries. If you are serious about avoiding burnout, you need to maintain the boundaries that enable you to be happy and healthy. There are always crunch times at work, however crunch times should not be continuous. Maintaining boundaries enables you to be less stressed and overwhelmed by helping you keep a healthy, sustainable mode of operation as your baseline. For example, checking emails at certain times, making sure that you protect an hour of time for yourself or with loved ones once a week, or getting a good amount of quality rest. Understanding what you personally need to feel positively energized is critical to making the best daily choices for you. This knowledge will help you say yes to the right things and no to the rest. 5: Limit distractions. It can help to be focused on the task at hand and limit distractions so that you can be in the moment as needed. For example, actually listening in meetings rather than doing emails or working on a presentation at the same time, focusing on work that requires concentration without responding to chat’s or other interruptions, or having a meal with your loved ones without checking your phone. 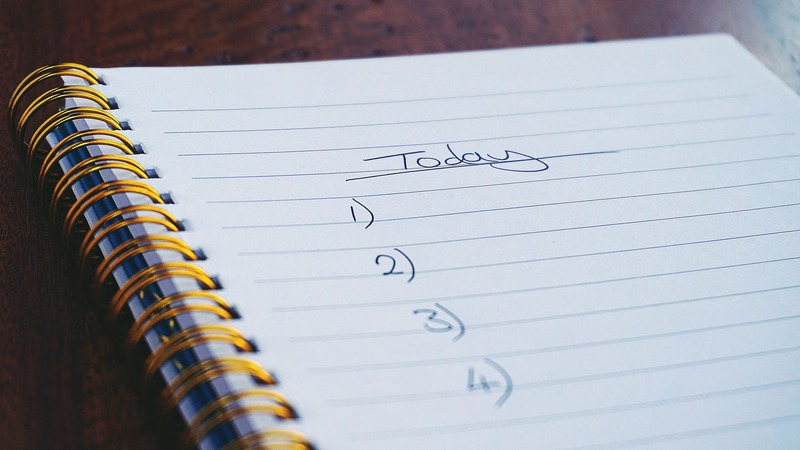 Here, it can be helpful to be clear on what your critical goals are for the day so that you can allocate time as needed, without putting so much on your to-do list that it is not achievable. By knowing what the must-dos are, you can prioritize time for this and then assess as other requests come in. Do they take the place of a current priority? The important thing to ask yourself about how you are spending your time is: does this use of my time and energy provide value in a way that is meaningful? Where meaningful could mean helping others, spending time with loved ones, contributing value to a project or goal at work, replenishing your energy and looking after yourself, or doing something that brings you joy. Making sure there is the right balance of time for all of these things enables us to feel our most energized and productive self. Sarah Deane is the Founder of EffectUX, the creator of The Leadership Quotient and, most recently, of EMQ -- a research-based system that rapidly and accurately pinpoints de-energizing behaviors and transforms them into positively energizing habits. Sarah uses her background in A.I., experience design, and human behavior to help brands deliver positive customer and employee experiences and to cultivate positively energizing behaviors, enabling higher levels of satisfaction, engagement and productivity. Sarah holds a Masters of Engineering in Computer Science and Artificial Intelligence. As a writer and speaker, she published her User Experience primer in 2014, The Wellness Formula in 2018, had her methodology featured in IDC’s Peerscape for industry best practices and is the recipient of the 2018 Human Resources Today MVP Awards in the Leadership Development, Analytics and "What's Next in HR" categories. Sarah has been featured at conferences and events such as SXSW, America’s Women Leadership Conference, The Global Workplace Wellness Summit, and Executive Presence for Women at Stanford, as well as platforms such as the Huffington Post, Thrive Global, Business2Community and more.